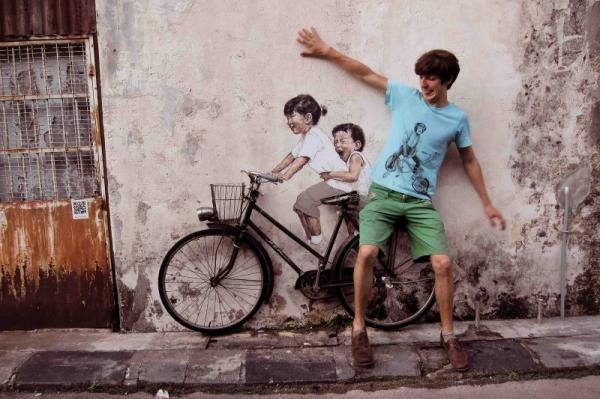 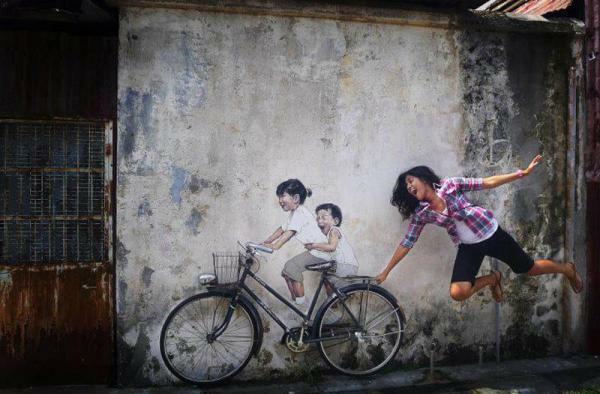 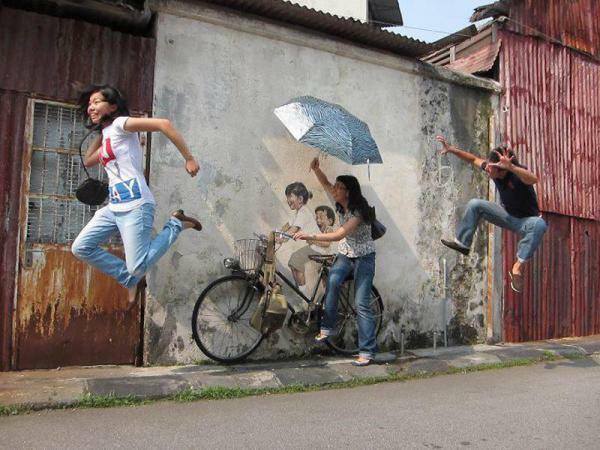 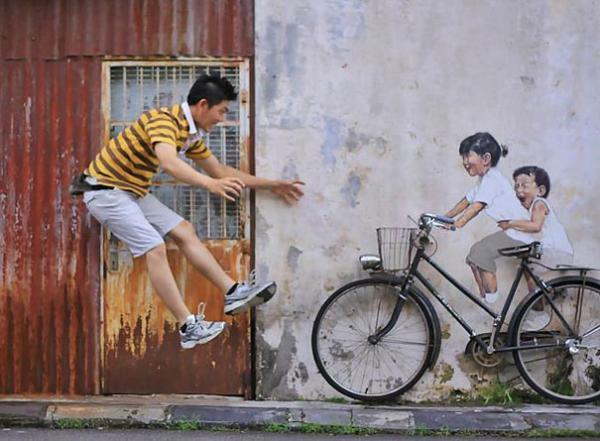 As part of George Town Festival 2012 in Penang, Malaysia, Lithuania young artist Ernest Zacharevic created beautiful wall paintings, or murals at selected streets in the inner city. 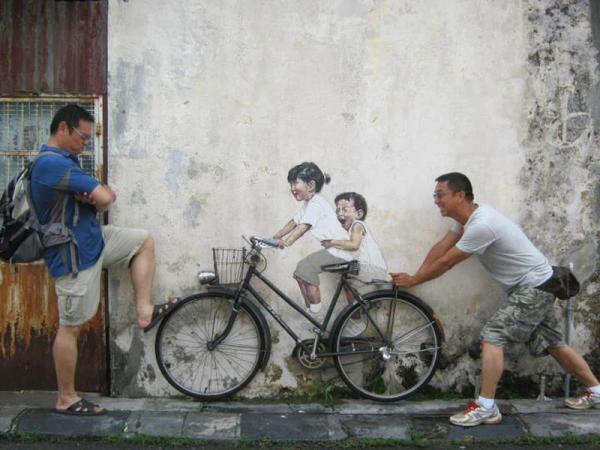 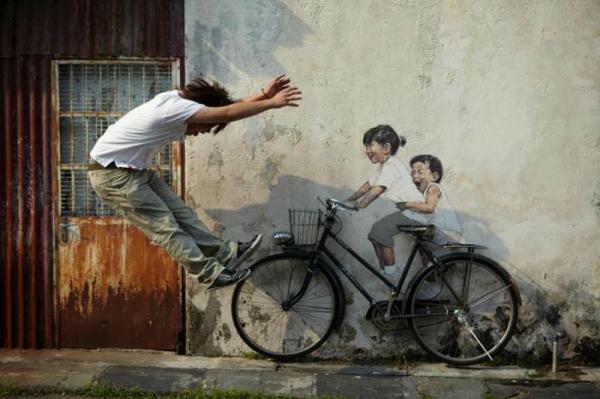 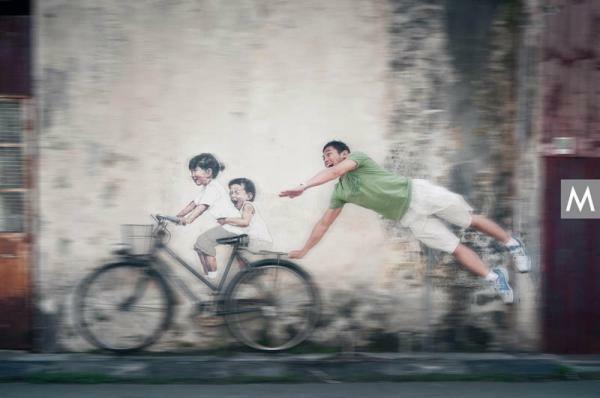 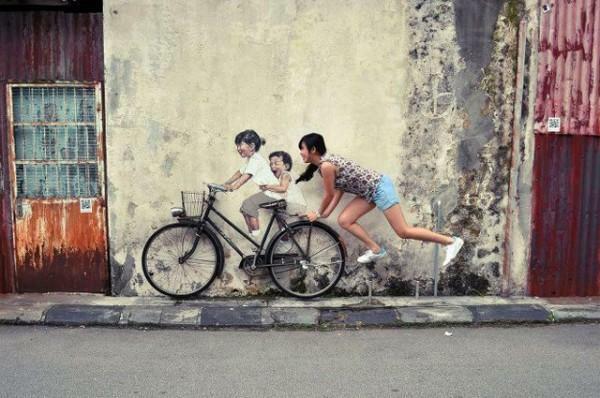 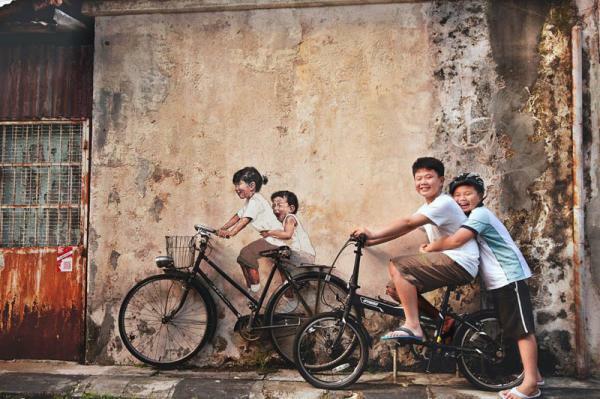 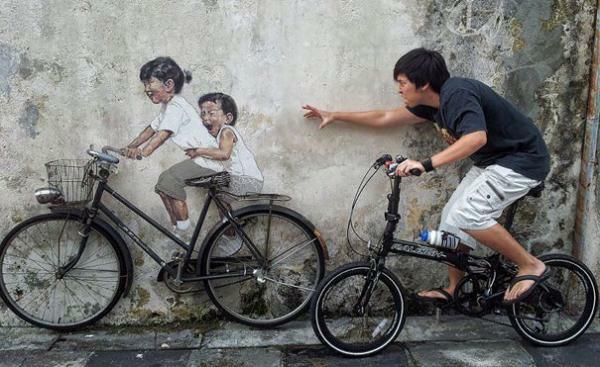 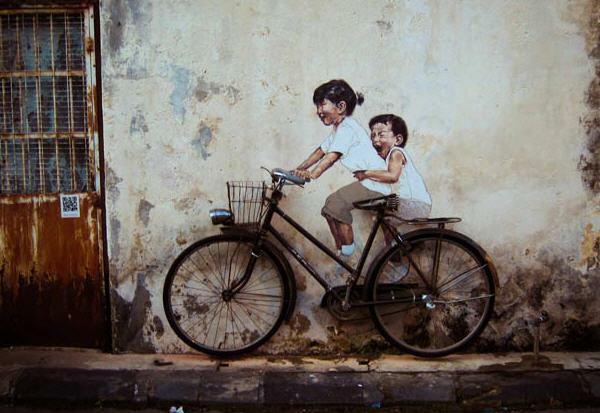 Little Children on a Bicycle is a mural on the wall of a shophouse on Armenian Street, George Town. 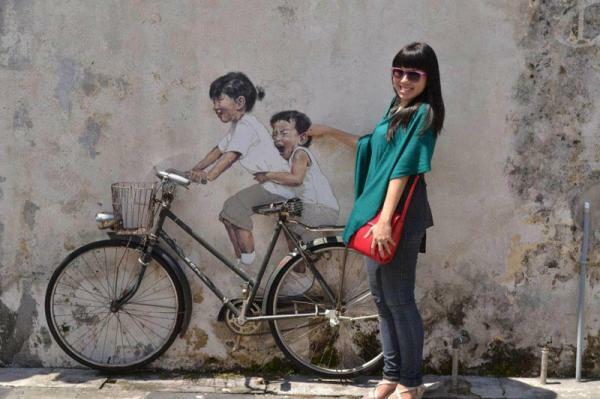 Since the mural was completed, it has drawn visitors in increasing numbers to stop over and take shots with them. 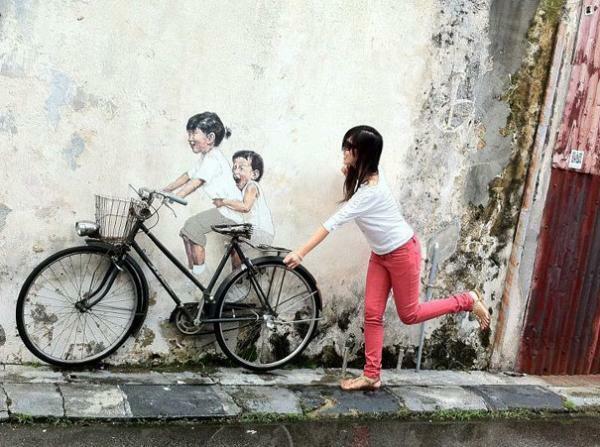 People are coming up with creative poses, which makes the mural a lot interactive.